A season of True Detective starring Mahershala Ali and directed by The Green Room’s Jeremy Saulnier did sound almost too good to be true, but don’t worry: You’ll still get two full episodes of it. According to The Hollywood Reporter, the Blue Ruin director has had to exit the third season of the HBO crime drama because of “scheduling issues.” Saulnier was initially set to trade off directing duties with series creator Nic Pizzolatto. As a network spokesperson explained a statement Friday, “Director and executive producer Jeremy Saulnier has completed the first two episodes of True Detective season 3 and will be departing the production due to scheduling issues. 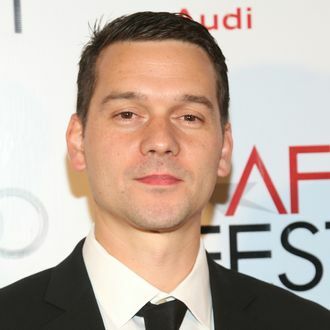 Daniel Sackheim has come on board as a director and executive producer for the series alongside series creator and director Nic Pizzolatto.” Sackheim, a TV veteran who has directed multiple episodes of The Americans, Game of Thrones and The Leftovers, will step in for the rest of the season. True Detective Season 3 is currently set to debut sometime next year, provided everyone starts buckling down and focusing on what really matters here: murders, presumably some real weird ones.